Would you like to start a home turtle but not as small as you could imagine it? The Turtles Pets addon adds giant turtles that live in forests and on the shores of seas. These reptiles are friendly and very slow that simplifies domestication. Turtles like bread and various vegetables, feed them to tame, after which the tortoise can carry your items in its shell. 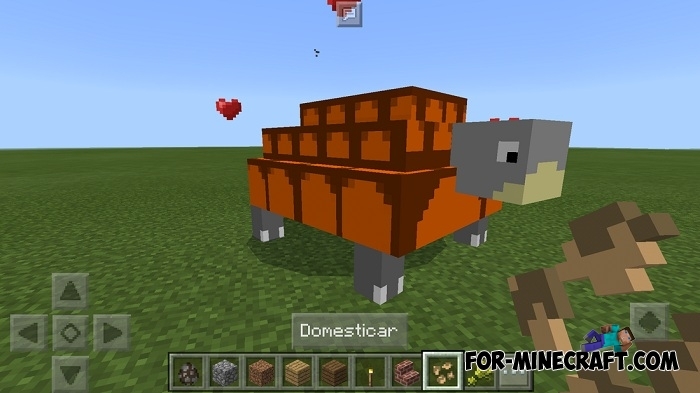 Unfortunately these turtles will not become a ninja and if you want to see real comic characters then install the Ninja Turtles mod for Minecraft PE. 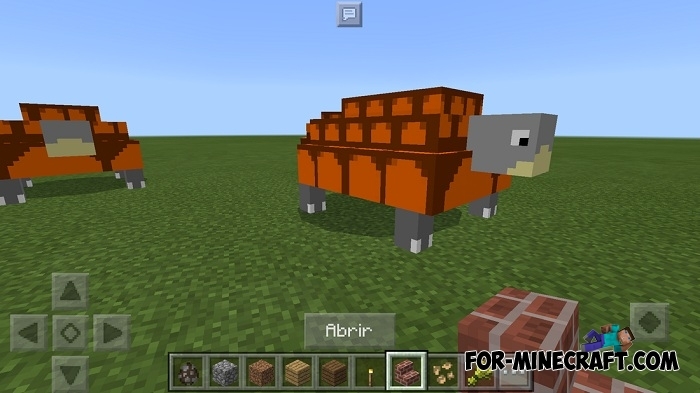 But if you really like real life animals such as tigers, lions, pandas and small turtles then you should see the Animals addon.